I've met some lovely Taiwanese PhD students here. Although we are from different faculties, the same difficulties we've encountered in life and study make us good partners to share everything. How to deal with supervisor(s) is the hottest topic! 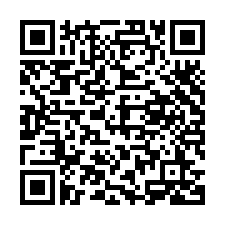 Second issues are what to cook at night and how to improve our research and writing level. I missed the Dragon Boat Festival this year already. Since August, I’ve made my mind that I couldn’t miss another important traditional Chinese holiday again! It was a perfect Mid-Autumn Festival Eve. Though it might sound weird to celebrate autumn festival now in Melbourne, who cares?! 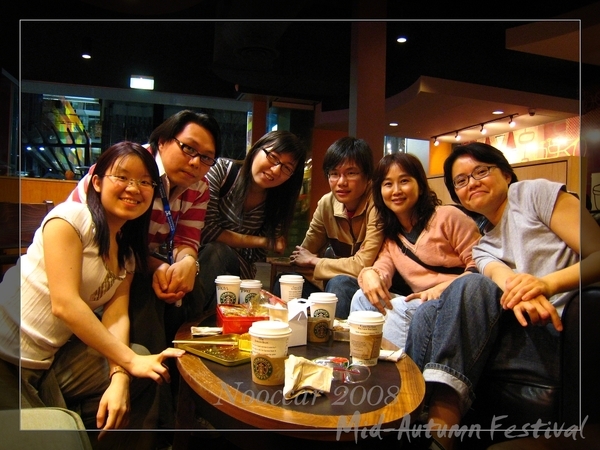 We spent joyful time in Nando’s, a local BBQ chicken restaurant, and then we move to Starbucks café on Swanston continuing our gathering. 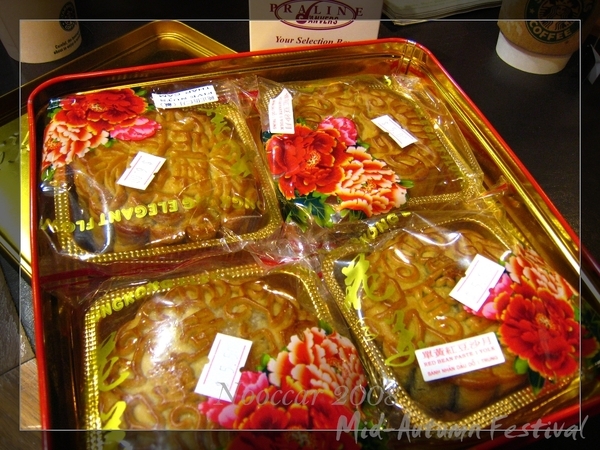 We got a box of “not so delicious moon cake” (XD) from Chinatown. The stuffing was too sweet and the skin was too thin…However, I really appreciate this opportunity to have holiday with friends, moon cake and of course, the beautiful moon light!